Rice, Flour, Cellulose (capsule), Magnesium Stearate (vegetable source) and Silica. Not manufactured with yeast, wheat, gluten, soy, milk, egg, fish, shellfish or tree nut ingredients. Produced in a GMP facility that processes other ingredients containing these allergens. Caution: Â For adults only. Consult physician if pregnant/nursing, taking medication, or have a medical condition. Keep out of reach of children. Natural color variation may occur in this product. 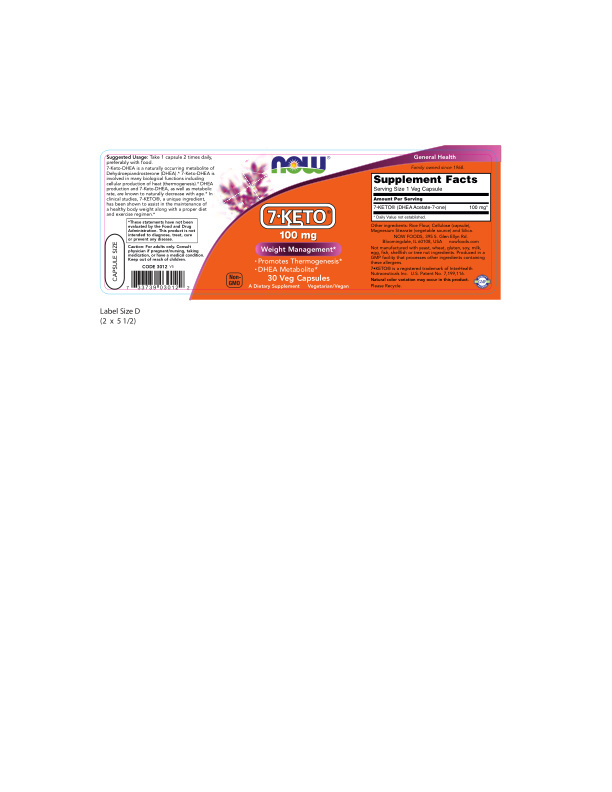 7-KETOÂ® is a registered trademark of InterHealth Nutraceuticals Inc. U.S. Patent No. 7,199,116. Please Recycle. Family owned since 1968.